An update on the 2015 school improvement bond. 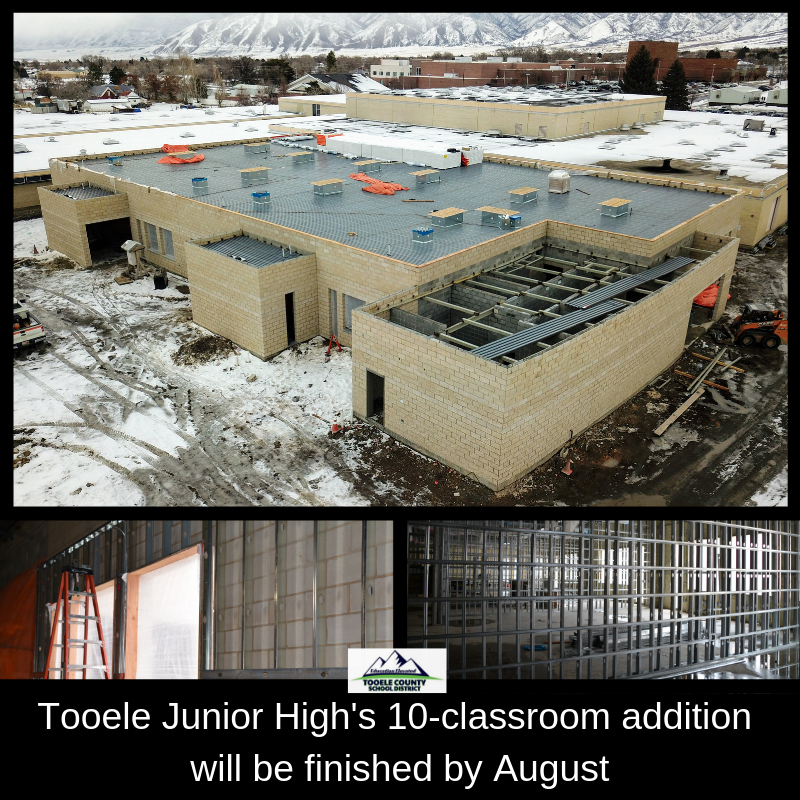 Three years ago, Tooele County voters approved a bond for $49 million to be used for school enhancements across Tooele County School District. In August, of this year, all projects specified in the bond will be complete. 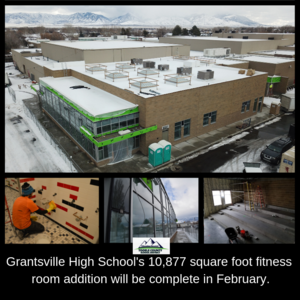 The fitness room at GHS will be finished at the end of February and the expansion of TJHS will be done before August 2019. A total of $33 million was spent building the two elementary schools, $7 million on the TJHS expansion, $4 million on the land purchased for a future junior high and high school, and $5 million on the capital projects at GHS, GJHS, THS and TJHS. 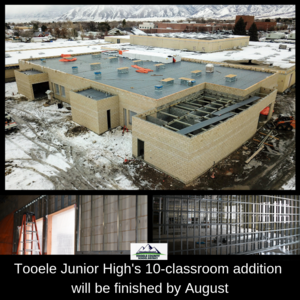 As Tooele Valley continues to grow, the Board of Education has agreed another bond will be needed for a second high school in Tooele City, a junior high in Stansbury Park and an additional elementary in Grantsville. Other school improvements such as an expansion of the SHS cafeteria may also be part of the bond. Land west of Home Depot was purchased for the new high school and property south of SHS was purchased for a junior high. The location for the Grantsville elementary has yet to be determined. An election will take place this November and if voters approve the bond measure, the new schools could be built in the following two or three years. The 14,700 square foot TJHS addition adds four science labs and six classrooms to the school. Because of the additional rooms, portable classrooms will no longer be needed at the school. 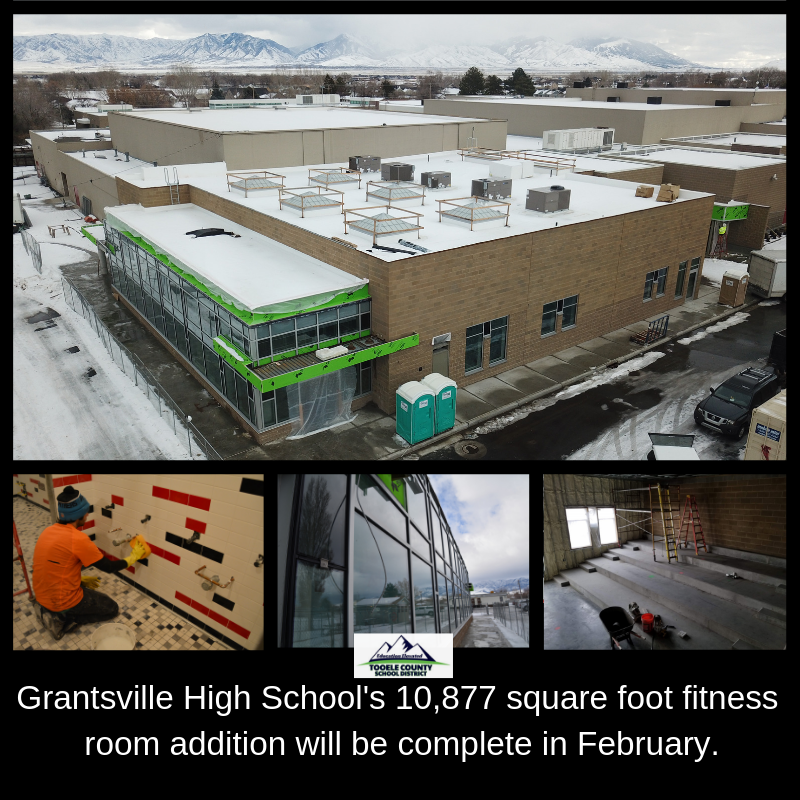 The GHS addition adds 10,877 square feet to the existing building and provides a more open and well-ventilated area than the current weight room. If needed, the two team rooms can also be used as classrooms. Old Mill Elementary was built to help with the growth in the Stansbury and Lake Point areas. It can hold a maximum of 900 students. Sterling Elementary was built as a replacement for two outdated schools, Harris and East Elementary Schools and has a 950 student capacity. Though the schools have the same layout as other elementaries in the district, each has unique features. Old Mill elementary played off the theme of the nearby Benson Grist Mill. It has wagon wheel designs on the floor tiles and the exterior lights look like old time lanterns giving it a rustic appearance. Sterling has a more futuristic look with metallic finishes and bright canopy colors. Both new schools meet energy efficiency and accessibility codes. The old THS track was made from asphalt and had cracks all throughout the surface of the oval. The phone system at THS had become obsolete. The parts were no longer available for repair according to West. A new phone system was installed during the 2017-18 school year. Wireless internet enhancements at THS, GHS and GJHS were done to benefit staff, students and visitors alike. High-speed wireless hubs were put in each classroom and throughout the buildings to increase user capacity and speeds.